Belarus leaders develop closer defence industry cooperation with China and do not want a Russian airbase on their territory. Although Belarus has no alternative to integration with Russia in the foresee​able future, the two countries different economic models and the ideas vacuum in Eurasian integration make integration with Russia a challenging undertaking. In 2017 Belarus will launch a satellite and in 2018 the first block of a nuclear power plant will start operating near the Lithuanian border. Refugees from Syria, Ukraine and other countries seek shelter in Belarus. The disabled have difficulties with accessing the entertainment places. All of this and more in this edition of State Press Digest. Lukashenka inspects the production of multiple rocket launchers. Belarus Segodnia highlights the visit of Lukashenka to the defence industry plant in Dziaržynsk to check the development of the Palanez launcher. Belarusian specialists claim this is one of the most modern and powerful rocket systems in the world. Moreover, Belarus soon hopes to start the autonomous production of rocket engines. Belarus has been developing Palanez with Chinese assistance after Russia refused to transfer to Belarus a similar defence system. Now, as Russia is pushing for an airbase in Belarus, Lukashenka tries to find more arguments to impede this initiative: “We have an exclusive defensive strategy, and it means that it should be able to cause unacceptable losses to the enemy. What is an airbase today? The jets will be shot down at the very beginning of the conflict. But this (Palanez) is a supermodern machine”, Lukashenka said during the visit. Union of Belarus and Russia has no alternative. Soyuz newspaper gives an interview with Moscow-based political scientist of Belarusian origin Kiryl Koktyš on the future of Belarusian and Russia integration. Although the post-Soviet states have developed a number of integration projects like the CIS and the Eurasian Economic Union, the Union State of Belarus and Russia remains the most successful project in the social sphere. It gives both state's citizens equal rights in property, education and healthcare. However, the expert notes that the economic models of Belarus and Russia, state capitalism and liberal capitalism respectively, are barely compatible for deeper integration. The EEU, initially a liberal economic model, cannot currently be implemented because of Western sanctions. It needs state protection and will likely be based on Belarusian experience of economic management in future. Yet at the moment a union economic ideology is absent. Speaking of the removal of sanctions from Belarus​'s political leadership, Kiryl Koktyš opined that it will not bring a close association between Belarus and the EU. Europe and the West in general are not ready to pay for loss of values, as the Ukrainian case demonstrated perfectly. So Belarus will remain in Russian orbit without any major shifts. Nuclear power plant to start in 2018. Belarus Magazine publishes a report from the construction site of the nuclear power plant near Astraviec town on the border with Lithuania. Currently around 4000 workers are involved in the construction and next year 8000 will be working there. The first power block of the plant will be launched in 2018. The project proposes a threefold growth of the town's population to 35,000 until 2020. Thanks to the nuclear plant Belarus will reduce its gas consumption by 5 bn cubic metres annually, and thus will strengthen energy independence. However, state journalists always forget to mention that the plant is built using Russian technologies and will generate energy from Russian uranium, so dependence will continue. Belarus will launch its spacecraft in 2017. Soyuz newspaper writes on the meeting of CIS representatives on space cooperation which took place in Minsk. 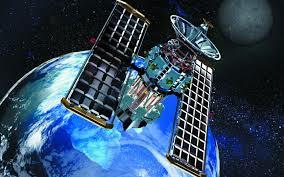 Currently, Belarusian academics in cooperation with Russian corporation Roskosmos are developing a satellite. It will become the first model of the Belarus-Russia space group. It is designed to pick up the sounds of earth from a distance and is expected to be launched in 2017. Roskosmos head Igor Komarov emphasised that the Belarusian hitech plants Integral and Peleng remain strategic suppliers of Russian space industry. Disabled people cannot enter nightclubs in Belarus. Belarus Segodnya writes about the problems of disabled people who have restricted access to places of entertainment. The newspaper provides a number of life stories of people who could not get into night clubs. The security teams of the clubs blamed suggest strange reasons for not admitting the potential disabled clients, saying that they are “unable to provide sufficient safety to the disabled” or “ they look unwell”. Human rights activist Siarhei Drazdoŭski says that ethics of treating the disabled is unknown among most public and private actors in Belarus. Homiel centre of adaptation and rehabilitation accepts refugees. Belarus Magazine tells the stories of families from various countries who chose Belarus as a refuge to escape conflicts in their homelands. Homiel region bordering Ukraine is usually the first destination for Ukrainians from the Donbas. The Belarusian authorities usually offer them work in agriculture where Belarus has a drastic shortage of workers. Meanwhile, Belarus also accepted 14 Syrians and around 100 more applied for refuge. According to the joint project with the United Nations, the government provides them with new flats, monthly financial help and adaptation services. Top businessman and senator from Hrodna arrested. Vecherniy Grodno newspaper writes about the arrest of one of the biggest businessmen from Hrodna​, Andrej Paŭloŭski. According to the KGB he evaded taxes of up to $8,2m in recent years. With companies from 8 other countries he organised a grey scheme of import and selling agricultural products. Andrej Paŭloŭski was the second most influential businessman in Hrodna region and also a member of the Council of Republic, the upper chamber of the Belarusian parliament, since 2012. During the last year and a half he became the third senator to be deprived of parliamentary privilege on the grounds of criminal persecution. The State Digest Digest is based on review of state-controlled publications in Belarus. Freedom of the press in Belarus remains restricted and state media convey primarily the point of view of the Belarusian authorities. This review attempts to give the English-speaking audience a better understanding of how Belarusian state media shape public opinion in the country. On 29 October, Belarusian diplomats had another verbal joust on the issue of human rights in New York. They managed to gather significant support from other international pariahs. However, the adoption of a UN resolution stating concern over the human rights situation in the country appears to be a certainty. The Belarusian foreign ministry also promoted the Eurasian Economic Union, as an integration partner of the EU and as an observer at the UN. They are unlikely to get a quick and positive reaction in Brussels. In New York, they are facing difficulties at fostering a consensus among the UN members. On 29 October, the Third Committee of the UN General Assembly held interactive dialogues with experts on the human rights situation in some countries. Miklós Haraszti, Special Rapporteur on the situation of human rights in Belarus, said in his statement that the human rights situation in the country continued to deteriorate. He expressed much concern over the situation with freedom of opinion and expression, including freedom on Internet. The special rapporteur described the recent presidential elections as “orchestrated”. He also reminded the committee that Belarus remained the only country in Europe with no opposition represented in parliament. Miklós Haraszti was appointed a special rapporteur on Belarus in 2012. The government of Belarus has refused to recognise his mandate. The regime denies Miklós Haraszti’s entry to Belarus and ignores his attempts to establish communication. In reply, Irina Velichko, a Belarusian diplomat, harshly criticised Haraszti’s conclusions. She claimed that the report on Belarus was “politically motivated and openly biased”. In her opinion, the special rapporteur had distorted the human rights situation in the country and referred to sources containing “only negative information”. The delegations of the US, the UK, Norway, the Czech Republic, Switzerland and the EU supported Miklós Haraszti’s conclusions. However, twenty delegations backed Belarus directly, or questioned the need for country-specific mandates and regretted the politicisation of human rights. The list of sympathisers towards the Belarusian regime has featured China, Cuba, North Korea, Syria, Venezuela and Zimbabwe but also Russia and five other post-Soviet countries. The heated debate in New York shows that despite the positive trend in relations with Belarus, Western countries have no intention to cease insisting on Belarus’ adherence to its international obligations. In its turn, the Belarusian authorities, notwithstanding their engagement in a direct dialogue with Europe and the US on human rights issues, have failed to adjust their tactics of stubborn denial of the dire human rights situation in the country. On 13 October, Andrei Yeudachenka, Belarus’ permanent representative to the EU, acting on behalf of the EAEU, passed an aide-mémoire entitled “The Eurasian Economic Union – the European Union: Cooperation Outlines” to an EU official in Brussels. The full text of this document, widely publicised by officials and state-run media, remains unavailable to the general public. The non-paper has failed to include a single reference to any common values, such as democracy, rule of law, good governance or human rights, as a basis for suggested cooperation. The EAEU sees the “gradual creation of a common economic space from the Atlantic to the Pacific Oceans” as the ultimate goal of this exercise. Among the practical instruments, the EAEU countries suggest is the reduction of tariff and non-tariff barriers, the approximation of technical regulation systems, and the attraction of direct investment. They also invite the EU to consider concluding a free trade agreement in the future. The non-paper includes a specific reference to the "integration of integrations", which it describes as a “conjugation and mutual consideration of economic integration processes”. Since 2011, Belarusian president Alexander Lukashenka has promoted this idea at any convenient occasion. In September, speaking from the UN rostrum, he described it as “the most topical trend of the modern world”. To date, a comment by Štefan Füle, the former EU commissioner, remains the only instance of a positive EU public reaction to the idea of “integration of integrations”. It seems though that it was a personal opinion of an outgoing bureaucrat. The idea of “integration of integrations” between the EAEU and the EU looks stillborn and nothing more than a nicely coined phrase. However, it does not preclude the Belarusian authorities from actively exploiting the idea at home and abroad. The current Belarusian presidency in the EAEU provides a favourable setting for such an exercise. Besides presenting the EAEU as an equal partner of the EU, Belarus actively promotes the EAEU at the United Nations. 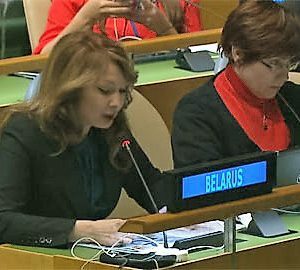 On 19 October, Andrei Dapkiunas, the permanent representative of Belarus to the UN, introduced at the United Nations a draft resolution on granting the Eurasian Economic Union an observer status in the General Assembly. The Belarusian ambassador insisted that the EAEU’s purposes and principles were consistent with the interests of the General Assembly in the fields of sustainable development, international trade, ecology and other areas. The General Assembly grants observer status to intergovernmental organisations whose activities are of interest to the Assembly. This status enables representatives of an observer organisation to participate in the debate on topics’ within its mandate. Together with an additional speaking opportunity, observer status provides an important form of international recognition, which the EAEU clearly needs. The adoption of this resolution is among the Belarusian delegation’s official priorities at the current session. On most occasions, the General Assembly grants similar requests without much deliberation. However, this initiative of Belarus and its fellow EAEU members provoked opposition from two delegations. The representative of Georgia expressed concern that the organisations' founder, Russia, flouted international obligations by occupying and annexing the territories of its neighbour States. Azerbaijan’s representative expressed regret that Armenia, an EAEU member, continued to illegally occupy a part of the territory of Azerbaijan. These statements have indicated that the draft resolution lacks consensus. A vote on the application to observer status would seriously undermine the EAEU’s international standing. If their efforts to foster consensus fail, the draft’s sponsor may have to withdraw it. A decision is expected during the coming weeks.